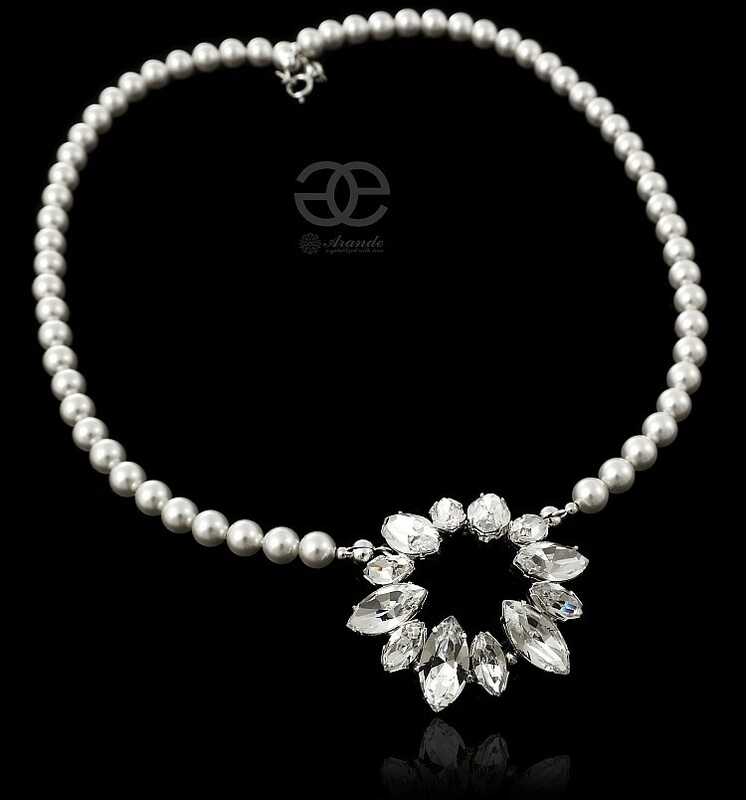 Beautiful Sterling Silver Necklace with Swarovski Crystals & Pearls: CRYSTAL WHITE. These genuine Austrian crystals are made in famous Swarovski Elements collection world-known for best sparkling pearls and crystals. 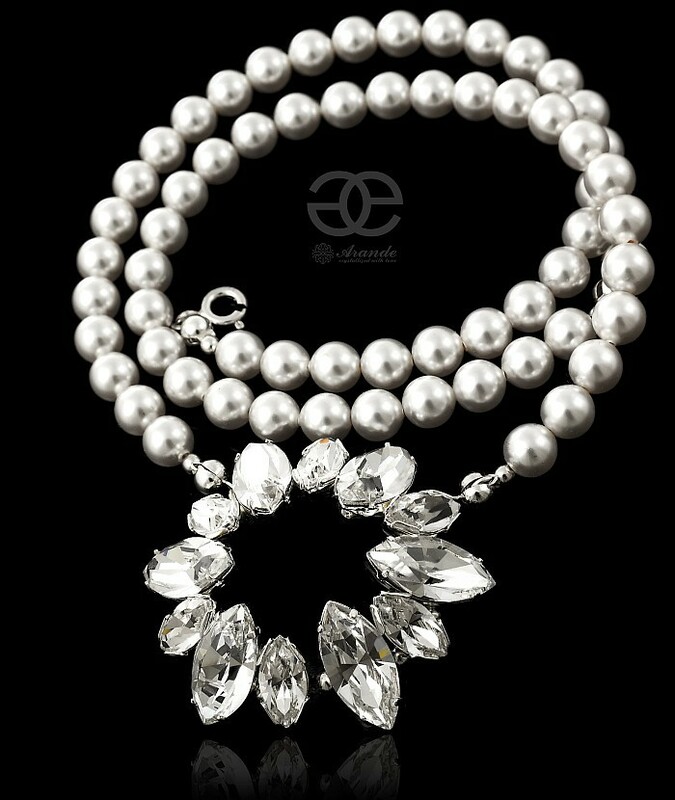 Beautiful necklace comes in Crystal color with amazing gloss. The crystals cut gives more shine than the other crystals. Added with Swarovski white pearls. Exclusive necklace with original style. The matching earrings and bracelet are available at our auctions. Unforgettable jewellery for any occasion. It can be central element of your style or may be a perfect gift for your significant other.